Even if you’re well keto adapted and your cravings have completely disappeared, you might sometimes feel like “a little something” after a meal. Something refreshing with a hint of natural sweetness, maybe? 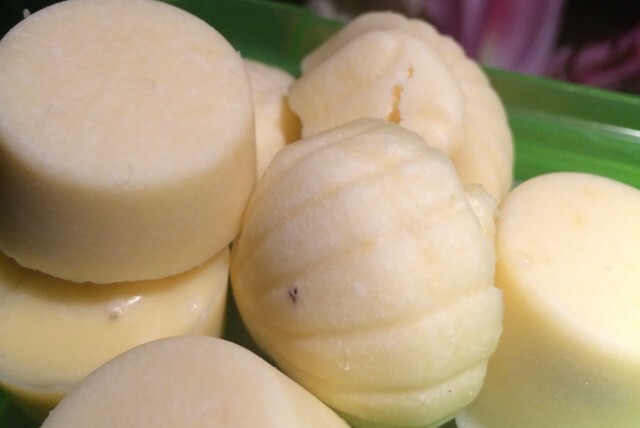 Discover my lemon keto fat bombs! I definitely do. And because I don’t tolerate chocolate in excess- I’m fine having it about 2-3x a week- I’m always on the lookout for new “treat-like” recipes. But these also come in handy in other situations: for instance, whenever I eat out or we’re invited for dinner at friends’, I have some sort of keto fat bomb in my handbag. Sometimes I need them, sometimes I don’t. More often than not, though, I manage to avoid carbs and get my protein intake right but after the meal I know I still lack fat (and calories). And that’s when these come in handy- I can easily top up on my fats without drenching my main meal in butter or olive oil and more often than not, my friends try one with honey on top . My taste buds are adapted enough at this stage that I really enjoy these without sweeteners. When I make them, I usually make two batches: one for me with absolutely no sweeteners (you can obviously add a bit of stevia or any other sweetener that doesn’t interfere with ketosis) and another batch for my kids where I add a bit of local honey, maple syrup or date syrup. Because many schools don’t allow any nuts any more, it is an ideal snack and will help stabilise your little one’s blood sugars! Melt butter and coconut oil. Stir in the coconut butter and mix well. Add lemon juice, lemon peel and vanilla essence. Pour into ice cube trays, freeze for 30 minutes and store in fridge thereafter. STARTING WITH THE KETOGENIC DIET? GET ALL YOUR ANSWERS HERE. SIGN UP FOR FREE RESOURCES AND GET ACCESS TO OUR FREE FACEBOOK GROUP. By supplying your details you are opting in to receive marketing communications from Patricia Daly. You will be able to unsubscribe at any time. We promise we will not sell or rent your information to other third parties. « LOW CARB PANCAKES RECIPE FOR TUESDAY! This book is part inspirational giving some much-needed encouragement for those who have lost hope for their own health situation be it cancer, diabetes, heart disease, or other chronic diseases. It’s also part educational explaining in great detail in practical language precisely why you would want to choose to eat in a way that seems to be the exact opposite of everything you’ve ever heard to be healthy for you. Finally, it’s instructional arming you with delicious recipes and meal plans to not only tell you about how to eat this way but to show you with tender-loving, hand holding all the way through this journey to better health…or as they describe it in their subtitle, Extraordinary Health! The ketogenic diet is a powerful metabolic therapy. It's not a fad diet. Given the lack of support from my oncologist, I was skeptical about the diet. Patricia, your warm, kind, caring attitude combined with your nutritional expertise was exactly what I needed both emotionally and intellectually to calm my nerves, become inspired, and take action to implement the diet. I have noticed feeling much less hungry throughout the day, and a more stable mood. I dropped from 175 pounds to 150 pounds, where my weight has stabilized. This is an ideal body weight for me, a weight I was unable to achieve through dieting over the years. More importantly, on the cancer front: I implemented the keto diet at the same time I began 6 months of chemotherapy due to 2 lung mets (original diagnosis of soft tissue sarcoma). In the 6 months after I started the diet, both lung mets shrunk about 60%. When I had surgery to have the mets removed, one of the two mets had cancer in it, the other one was completely dead tissue, meaning the cancer had been completely eradicated. This result surprised my oncologist. While I will never be able to say for sure what caused me to have such positive results (keto alone, chemo alone, or a combo), I feel confident saying the ketogenic diet was in part responsible for my very positive results. Although the keto diet presents challenges, I think working with Patricia has given me information to become an expert on the diet for myself. The diet has given me a sense of control that was completely absent from the western medicine perspective. Patricia is genuinely caring, and this comes through in all of my interactions with her! The ketogenic diet is complex and overwhelming, especially to someone unfamiliar with the diet. Patricia breaks it down, and this helps implementing the diet much more manageable. Since 2007, I had been through 4 surgeries + a radiotherapy for metastatic and aggressive thyroid cancer, and my blood cancer markers were still showing that cancer was still present. I was awaiting a 5th surgery for yet another lymph node that look as metastatic as previous operated ones. I started KD in April 2014. My husband and father did the same. The first 4 weeks were a bit rough, I felt sometimes dizzy, and I missed bread, pasta, yoghourt and honey an awful lot! Resisting those cravings was my main challenge, I had to change sideways when I’d come across a bakery (I’m French, meaning we have a lot of them...). The second challenge was to turn my “nutritional education” upside down. And to learn new cooking techniques and recipes, while still using vegetables from our garden. But these challenges were offset by quick improvements, first on things I thought were quite remote from my cancer problem (so wrong...) : allergies and asthma disappeared within 3 weeks, and I stopped the daily treatments I had been taking for more than 25 years. It never came back. Belly pain and swelling also vanished within 3 months. Restless leg syndrome as well. My skin improved in a matter of weeks, eyesight got much better (I had to change glasses, and same for my husband) and brain fog somehow lifted away. Last but not least : on my September check-up, the suspicious lymph node that had been followed up for previously had disappeared, and my blood cancer markers were down 50%. They have gone even a little bit lower this year. I feel really good, more energetic, and I have started to work out again since spring 2015, which is quite a victory considering the huge fatigue I was plagued with. So now… I have no intention to change my new cooking and eating habits ! Considering the results, and also because what I eat is so much more tasty and diverse than what I used to munch. No cravings anymore, or only for olives or fat cheese! The only remaining challenge is to resist eating lots of fruits in the summer. Anyway, I also realized with great pleasure that dining out “keto” was quite easy, especially in fine restaurants : French “haute cuisine” is in fact quite close to keto (one you remove the bread !). And I’m getting lots of my friends interested in KD, so that helps too in making it socially easy for me. None of all this would have been possible without Patricia’s help, her eBooks and her consultations. The Ketogenic Kitchen is a vital resource- a great source of information for both patient and physician, helping to ensure that the diet is done safely with a variety of healthy, delicious and nutrient-dense foods. Your presentation skills are wonderful. I felt like we were having a little conversation between the two of us! You were perfectly prepared and always knew the answers to our questions. It is great knowing that you have been through what many of us are going through and have a different level of understanding than any other person I have met. Outstanding job! Thank you for your very easy to follow & tasty meal plans. I am not particularly good at cooking & I do tend to let things slide but after following your plan for a week you do not know the pleasure I felt when my partner looked in the fridge & said yum yum ! He is a tough cookie to please with regards to food & that just made my day. I will be following the next weeks meal plans, thank you, but I wondered if you have any plans to release a book of recipes ? Your style of food seems to suit my constitution and the ingredients are familiar to me, some of the American recipes do not suit me so well. Love to buy your cookbook if you are planning one. When dealing with a specific health challenge I have spent many many hours researching the claims that various supplements and diets offer and I was delighted that my journey lead me to Patricia. I have been looking for someone who offered more than diet advice and who has a real understanding of the science of nutrition and how it relates to each individual. As client of Patricia’s it is very evident that she has a passion for her work, and a wealth of knowledge, backed up by her own research. 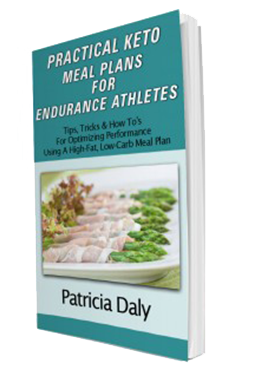 Patricia brings clarity to an often confusing world of nutritional information and misinformation. I highly recommend Patricia to everyone including my own clients, where I see mental and emotional and anxiety issues resolved much faster when nutritional imbalances are addressed. I know Patricia on a professional basis but also as a client. I have also referred many clients and friends to her who I think will benefit from her particular expertise with the ketogenic diet and using nutrition to assist those with cancer. Patricia is very professional, very knowledgeable in her field, in fact I would call her an authority. But, Patricia is more than that, she is passionate about what she does and this comes across when she works with you. When you work with Patricia you feel she really cares about you as an individual and that she really wants you to be well. Patricia explains things in an easy to understand way and provides an excellent follow on support service. I have no hesitation in highly recommending Patricia's Nutrition Choices to anyone. 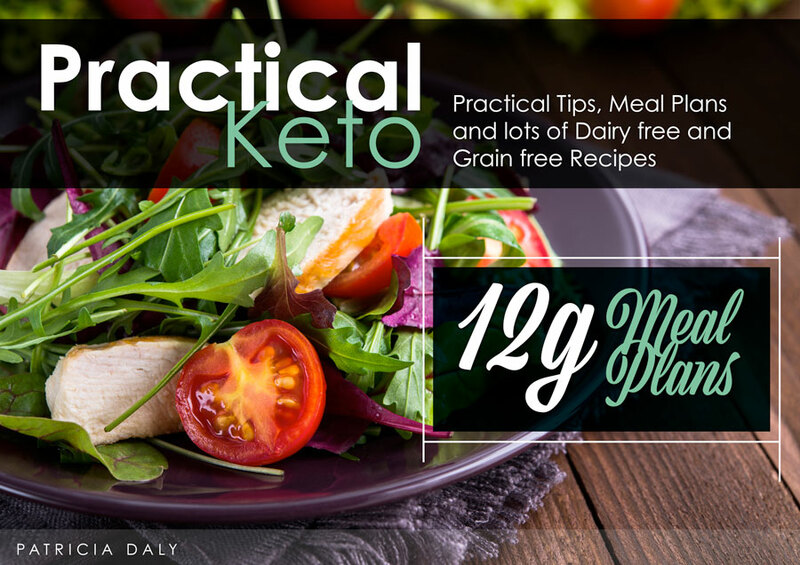 Practical Keto meal plans is an excellent book. It delivers exactly what it promises - a practical way to improve your diet and your health. I find the meal plans especially useful and easy to follow. Since 'going keto' my energy levels and well-being have dramatically increased despite having regular chemo. I would recommend this book to anyone who wants to feel better and have more energy. Patricia was also very helpful when I was having (self inflicted) problems with the download. The Ketogenic Kitchen will be an invaluable resource for those wanting to follow a ketogenic diet under the direction of their medical professionals, and it will be an equally useful resource for medical professionals who want to add this to their patient's therapeutic regime. We first met Patricia in March 2015, shortly after our daughter (age 3) had finished two and a half years of chemotherapy treatment for a brain tumour at Our Ladys Childrens Hospital, Crumlin. Initially we had concerns regarding the efficacy and appropriateness of the ketogenic diet, especially for such a young child, and given her medical history. However, we found that Patricia was able respond to our questions and concerns in a knowledgeable, professional, balanced and compassionate manner. She provided us with a wealth of information into this field and prepared a synopsis of the current research to present to our daughter’s Oncology Team. The transitioning period onto the diet was managed in a very pragmatic and thoughtful way, with glucose and carbohydrate rich foods being phased out whilst introducing new keto foods gradually. Patricia’s lovely recipe book became our ‘bible’, providing lots of great family recipes along with guidance on sourcing of ingredients and equipment to make life easier. And although we had been sceptical about how our daughter would adjust to her diet being radically overhauled, she has responded better than we could have imagined: her appetite is healthy, her skin is now clear and bright, and her digestive system has improved dramatically. We cannot begin to express our gratitude for the positive impact that Patricia has had on our family. She is a truly unique individual, whose dedication and commitment to helping others is beyond compare. Our forever thanks. 1. I have been practising Keto for over a year now. I am a nutritionist and very hungry for information on all things Keto. 2 of my really good friends got diagnosed with cancer and I decided to try learn all things Keto relating to cancer and that is how I found your course. No I am not disappointed. I am loving the course. 2. I did think about the course for a month before I signed up. More from a time point of view. I have a lot going on at the moment. 3. I think I have learnt more about the specifics of Keto eating. I am implementing a lot of what I have learnt so far into my own life. My health is improving on a day to day basis. I am a keen athlete (not competitive- or only with myself) and my training and recovery has improved dramatically. 4.I quite like the way you have the audio and transcripts. And your course is laid out in a very user friendly way. There is a beginning middle and an end to each section. And then the next one begins. 5. Yes. I have been recommending it to others. As well as people who have been diagnosed with cancer or are recovering. 6. As a practitioner (and living in South Africa) I would love to have a community of like minded practitioners where we could have questions and answers and sharing of issues coming up with our clients who are starting a ketogenic way of life. I would also like more access to webinars and youtube videos where the science is stated and where kept has been successful for cancer. 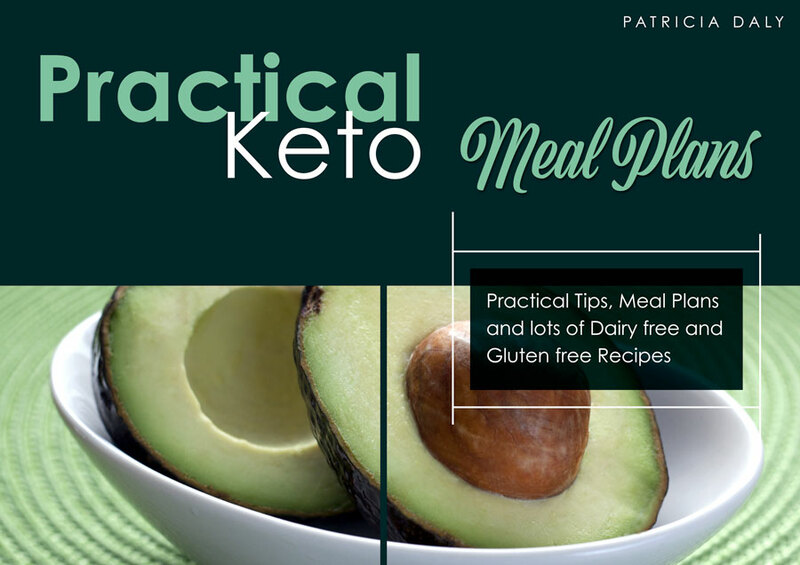 One thing that inspires me about the recipe ebook Patricia Daly has kindly written for those of us with cancer trying to approach it metabolically, is that it simply provides you with the materials and ingredients you need to keep those ketone bodies up and all that healthy fat. Also, it puts to good use a diversity of tasty and delicious meals that will make this rather restrictive diet that big bit more interesting and delectable. Another wonderful thing is the adaptability with which I can use the recipes. I, myself, am on a very restricted calorie and carbohydrate intake with a lot of fats involved. So basically, I can evolve the recipes to my own personal desires. I think the proof is in the fact that after 6 months since my prognosis of 14 months to live with a Glioblastoma Grade 4, I am 6 months down the line with a stable tumour. Without the guidance from people like Patricia Daly, who, having cancer, still perseveres and elects to help those of us who need it and are dealing with the same problems. We wouldn't stand a chance. I feel so supported and have a lot of hope for the evolution of this diet and how it may help the lives of millions of people. Patricia and Domini’s book explains the precautions, the practicalities, the theories and the uncertainties and will be of value to individuals, their families and the clinicians supporting their treatment pathway. Thank you, Patricia and Domini for your considerable endeavours in creating such an informative and deliciously practical book. An authoritative guide that will help you put the powerful science of ketogenic principles to work in your daily life. The authors' hard-earned wisdom coupled with their culinary expertise set this book apart from other health-oriented cookbooks. 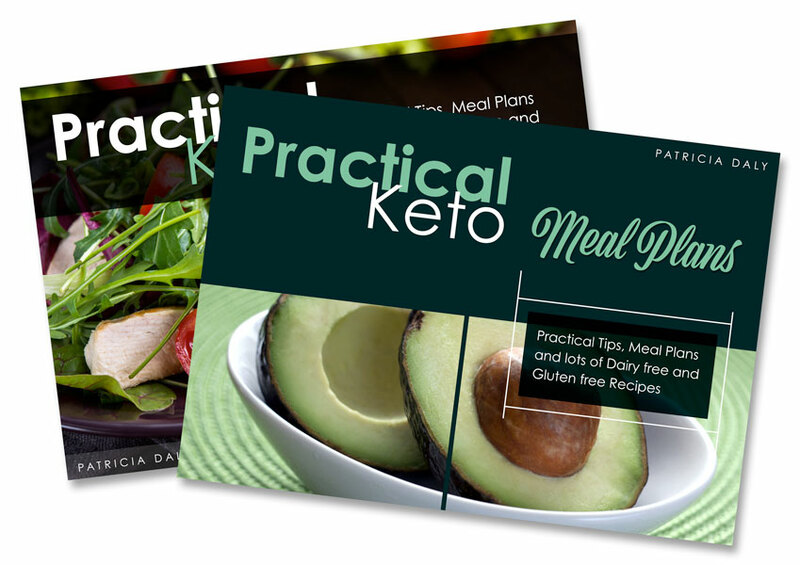 The Ketogenic Kitchen will be indispensable to those seeking to incorporate a powerful, science-based nutritional approach into their comprehensive treatment plan. I decided to enrol onto Patricia's course to refresh and start again. However she has taught me lots. She passes on an immense amount of knowledge in an easy to follow, practical way. It can be paced at your own speed so you can absorb the material. I am certainly following Patricia as she continues to teach me. 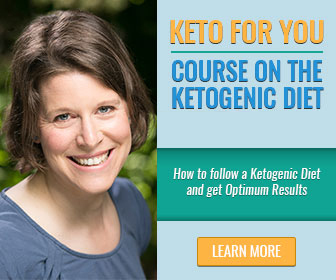 Her course and books are great value for money if you want to follow a ketogenic diet. Thank you Patricia for all the information you have gathered and shared . You have certainly made following ketogenic diet easier for me. Good luck with spreading the word to others. I was experiencing a lot of migraines, fatigue and an overall feeling that my system was very sluggish. I filled out a pre-consultation questionnaire for Patricia which she received before meeting with me. I feel that as a result Patricia gave me comprehensive insight into what areas of my diet and lifestyle may have been impacting on me. Patricia helped explain and develop a plan to help alleviate the symptoms I was experiencing in way that didn’t feel overwhelming but manageable. I found the meal plans, recipes, website links and lifestyle tips which Patricia gave me really helpful to make the changes that have helped me so much. After two months, I feel my energy levels are much higher, I have had no migraines and my system feels in harmony. I would thoroughly recommend nutrition choices! Patricia Daly is an experienced and internationally recognized Nutritional Therapist (BA Hons, dipNT, mBANT, rCNHC). Following her cancer diagnosis, she left her corporate career and started studying nutrition. She is currently pursuing an MSc degree at Middlesex University in the UK. As a Swiss native, she regularly attends training courses in Switzerland/Germany, including at the renowned Tumor Biology Center in Freiburg, Germany. Her network with both complementary and orthodox health professionals allows her to stay up-to-date with current research and best practice. She is also a member of the British Society for Integrative Oncology. Patricia has worked with hundreds of clients affected by chronic illness and looking to improve their quality of life with nutrition and lifestyle changes. She is a guest lecturer and regularly receives invitations to speak at international conferences, like for instance at the Metabolic Therapeutics Conference at USF in Tampa, Florida. She also writes articles for magazines and books. In January 2014, her first eBook, "Practical Keto Meal Plans", was published. It has since been purchased by both patients and healthcare professionals, including oncologists, from all over the world. 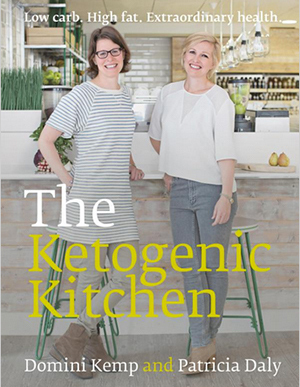 And in spring 2016, she published a bestselling book "The Ketogenic Kitchen" on the benefits of the low carb and ketogenic diet, which she has co-written with Irish chef and entrepreneur Domini Kemp. The book was published in the USA by Chelsea Green in autumn 2016 and quickly became a bestseller on Amazon US.